Staying ahead of the constant SEO changes is part of the game when it comes to the business world. The same can be said of those in the medical profession. As we are solidly into 2019, let’s take a look at the SEO trends that experts suggest will make the most impact this year. For 2018, over half of the online traffic worldwide (52.2%) came from mobile phones. Early on in 2018, Google turned its focus to mobile-first indexing to take advantage of this trend. This means that Google has begun ranking websites being accessed via mobile device. In fact, if a business has both a desktop and a mobile website, the mobile site is indexed first. This also means that businesses that don’t have a mobile website miss out on a ton of traffic. Not only does Google want to provide users with the best user experience (UX), but they also want it to happen quickly. Page speed has also been at the top of the checklist for mobile ranking factors since 2018. Google feels that accelerated mobile pages (AMPs) provide the best UX because they load faster than their competitors. This means that your patients won’t have to wait as long to look up your medical practice. Smart assistants, like Alexa and Siri, are becoming increasingly more popular. Not only are people using these devices to turn on their electronics, but they are also utilizing them to perform their internet searches. Around 20% of Android device users are using voice search to complete queries on their devices. 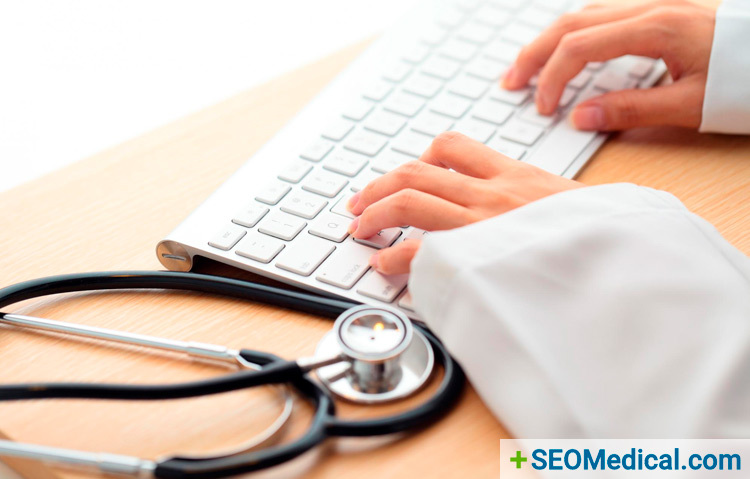 Most medical practices that are already utilizing SEO techniques are practically ready to capitalize on their patients using voice search. Those responsible for keeping up with a practice’s SEO should take note; however, that voice searches use longer-tail keywords and more conversational language. There are several strategies that your practice can use to find the best keywords for your SEO ranking.